Freshen Up Your Look! The Latest Techniques in Fillers, Botox and Lasers. When we are talking about maintaining a “youthful” look, there are many things that can be done to stop the aging process, and even “reverse” it. However, it is usually a multi-stepped approach. It took years to develop your current appearance, and may take a few tricks to freshen things up. By far, the most important step is to take care of yourself. An ounce of prevention is worth a pound of cure. There is truth in cliches. When it comes to the aging of you skin, there are really a few processes at play. The first is the combination of your age and your genes. Blame your parents! The second is solar damage. From the perspective of modifiable risks, good sun protection is the most crucial! I will repeat that… sun protection is the most crucial. There are several excellent sun protection products to choose from. You want to make sure that your sunscreen is worn regularly, applied as frequently as instructed, and provides adequate protection for your sun exposure on any given day. Good sunscreens cost a bit more, but are probably worth it. In addition to your face and body, don’t forget to apply sunscreen to your hands. On top of sun protection, a good skin care regime can really make a difference. There are hundreds of products to choose from. In my opinion, a product line at your plastic surgeon’s or dermatologist’s office is your best bet. There are stronger ingredients in many of these, which cannot be purchased over the counter at a pharmacy or beauty counter. Again, you will pay more for these products, but since they will actually make a difference, you’re still getting better value. Things such as eating well, drinking lots of water, sleeping well, exercising, reduced stress, and alcohol in moderation, all add up. Essentially the things that make you healthy on the inside will help make your skin healthy on the outside. Finally if you smoke, quit! Aside form sun exposure, smoking is one of the most damaging things you can do to your skin. Okay, what’s done is done. Now what? So, how do you decide? There are several things that happen when we age but to simplify: we deflate, our skin drops, and it deteriorates. These are the three D’s of aging. There is no singular procedure that can fix everything, however, this is where a consultation with a plastic surgeon can really help. As a plastic surgeon, I like to assess my patient’s face and address each of the different areas of concern. I also like to give them the pros and cons of the treatment choices from minimally invasive, to surgery, and then help them decide which choice is best for them. For deflation, fillers and fat grafting are the most common treatments. If you feel hollowed-out around the eye, or you are starting to loose your cheek fullness or are getting deep grooves around your mouth, fillers can work wonders. It returns a bit of volume that is lost over time. There are several products, but I focus mainly on the hyaluronic acid fillers. Hyaluronic acid is a sugar molecule that is already in your skin. It plumps things up by binding water. Sugar + water = more youthful look. The biggest concern that I hear from patient’s, is that they don’t want to look “done” or “fake”. We have all seen awful looking results on people that have been over-done. I never want any of my patients to be one of them. In fact, you may have noticed some great results on people, but didn’t realize they are from fillers because they were actually injected correctly. The goal is to look fresh and healthy, yet never looking obvious to anyone but perhaps your closest family or friends. When our skin deteriorates, it wrinkles, develops pigmented spots and broken vessels, along with red spots. The skin thins, and the pores enlarge. The treatment is two-fold. For minimal to moderate wrinkles nothing beats Botox or other medications that weaken the muscles of the face. It is excellent around the eyes (crow’s feet), glabella (between the eyebrows) and the forehead. Striking the perfect balance is key. Anyone can inject excess amounts of Botox into face and wipe away wrinkles, but that is not beauty. A balance of wrinkle reduction, yet normal movement is much nicer looking. We strive to make you look fresh and youthful, not plastic or fake. The other approach to skin deterioration is laser and light treatment. For the sake of brevity, lets call them both laser. Laser works by beams of light targeting something in your skin such as pigment (melanin), blood, or water. The effects of laser skin treatments can be amazing. Pigmented spots, broken vessels, areas of redness, wrinkles, skin laxity, dull texture… all signs of aging… can all be dramatically improved. Fine lines can disappear. Deep lines can be dramatically improved, if not removed completely. The dermis (deepest part of your skin) itself can be made tighter. The collagen reorganizes itself and starts to regenerate much like it did in your youth. Finally, there is surgery. It fixes the drooping of tissue. This is the facelift, brow lift, neck lift and eye lid surgery amongst others. Surgery repositions things back to where they were and profoundly refreshens your appearance. That said, surgery alone is not enough. If the skin is of poor quality, or the volume is lost, then pulling poor quality skin over a hollowed out face won’t look nearly as good as it could if those were corrected as well. To go full circle. There are many things that happen with aging. We can reverse or slow many of them, but remember there are sometimes more than one thing to be considered. Take care of your skin and wear a good sun screen! Adopt a daily skin care regime with quality products. 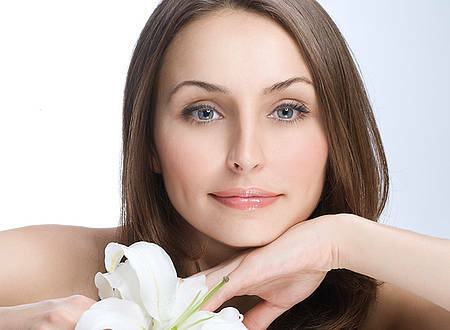 Botox for weakening the muscles of the face to soften crow lines, frown lines and the forehead. Hyaluronic acid fillers (such as Juvaderm and Restylane) to plump up the hollowed area around the eyes, increase cheek fullness, or to fill out any deep grooves around the mouth. Lasers to dramatically improve all signs of aging, such as pigmented spots, broken vessels, areas of redness, wrinkles, skin laxity, or dull texture. Surgery to reposition things back to where they were, and to profoundly refreshen your appearance. The goal is always to look fresh and healthy, yet never being obvious to anyone but your closest family or friends that you actually did anything. These treatments can make a major difference in people’s appearance. The goal is always a youthful, refreshed look. By caring for your skin, and taking these small steps, the need for more involved surgery may be pushed back for years. To book a private consultation with Dr Shortt, please call 905-849-4282 or click here.